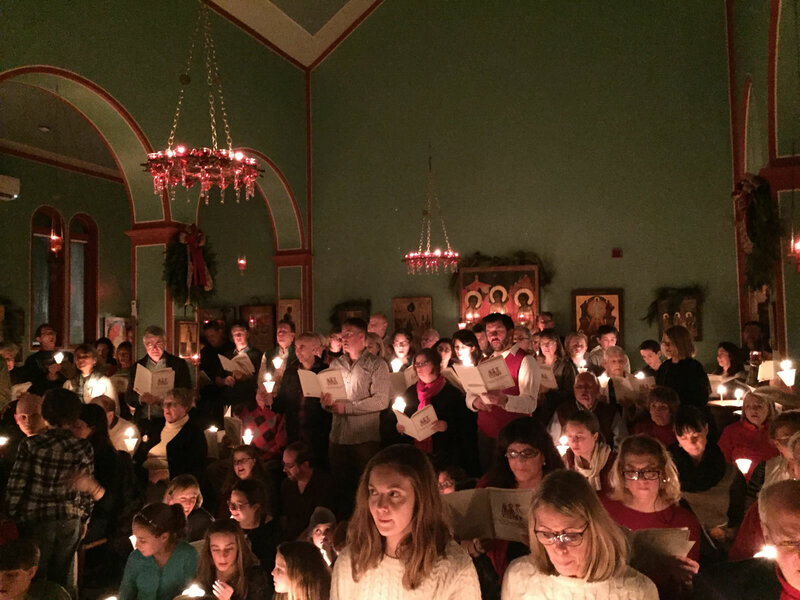 With the blessing of His Eminence Metropolitan Hilarion of Eastern America and New York, First Hierarch of the Russian Orthodox Church Outside of Russia, the Orthodox Church of St John the Russian in Ipswich, MA, hosted its 6th annual Old-Fashioned Christmas Carol Sing-Along on Friday, December 23, 2016. As a missionary outreach, the parish invites the town community, neighbors, family friends and parishioners to sing Christmas carols by candlelight led by the church choir. This event continues to gain momentum and has become tradition for many families in our town community. This year, with over 300 guests, the parish packed its church and the event was featured in two newspapers. The parish hopes and prays that all hearts are opened to the birth of Christ this Christmas and the love that people experience leaves a deep impression in their lives in the coming year. This entry was posted in News and tagged First Hierarch, His Eminence Metropolitan Hilarion, MA, New York, Orthodox Church by Orthodoxy Cognate PAGE. Bookmark the permalink.